You could be forgiven for not noticing that The Beach’s preeminent shopping complex, Santa Monica Place did not have a branch of a large chain coffee shop. There has always been an outpost of the Italianesque mini-chain Ugo Café, and a now departed Groundwork made a valiant effort, but the big name ubiquitous coffee joints have been kept out… until now. 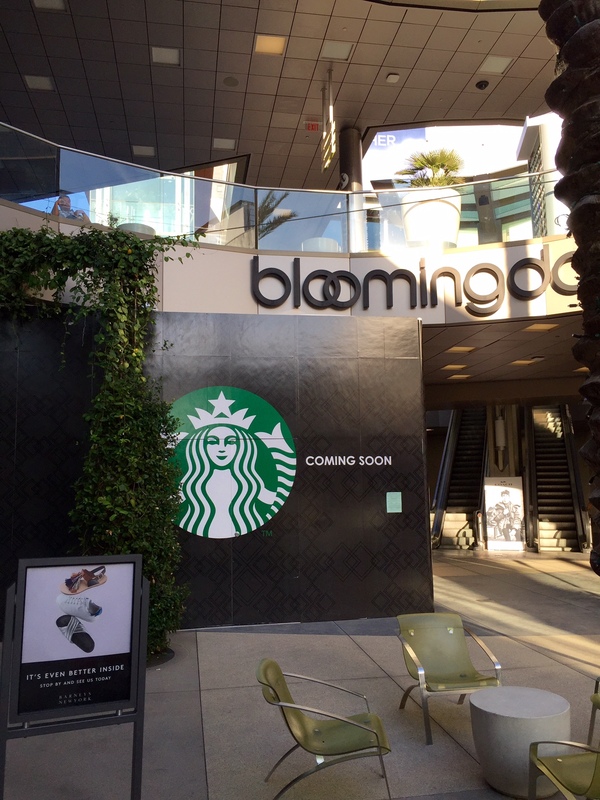 Construction is underway on a free-standing brand spanking new Starbucks on the ground floor, near CB2, directly beneath the upcoming Arclight Cinemas. This entry was posted in News and tagged Downtown Santa Monica, Santa Monica Place, Starbucks, Ugo Cafe by toddrickallen. Bookmark the permalink.